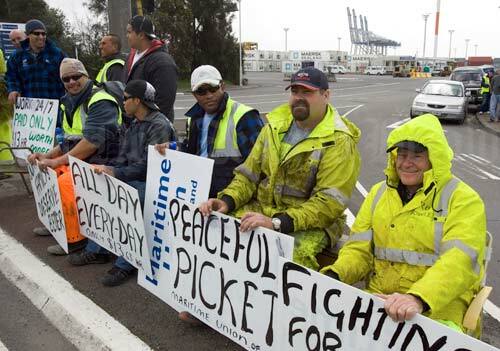 Waterside workers picket the entrance to Auckland’s container terminal in October 2007. They were on a 48-hour strike over pay negotiations. Within union culture, crossing a picket line is viewed as a disloyal act. Those who do it often face the scorn of their fellow workers, and are dubbed 'scabs'. This can make picketing an effective form of industrial protest.